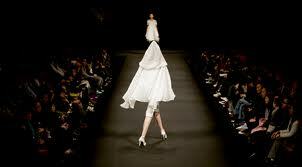 Fashion it’s more than a phenomenon, it’s a way of living for a lot of young women and men from all over the world. Fashion it’s not just the knowledge and also the art of knowing how to dress, but also a way to express yourself. It’s great to know how to dress no matter if we’re talking about a special moment of your life or about your outfit for shopping. Knowing this helps you to be confident and the feeling it’s more special when you have a passion for fashion. It will never be a pain for you to dress since you will always have solutions to everything because, isn’t that right, a true fashionista is creative. Another aspect from the fashion world which I want to stress out it’s to be aware of what this term really means. Fashion world isn’t composed only by what you see on the catwalks from Milan or New York, but also by how you dress, how your friend or college colleague dresses. Yes, there is no doubt that fashion world is influenced by what we decide to wear or not, every day.